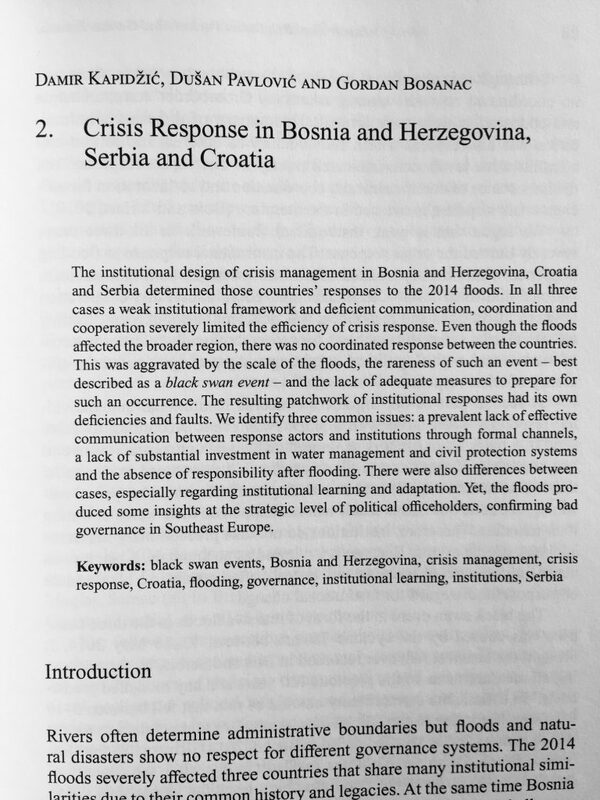 A comparative study of crisis response, institutional coordination and black swans that I co-wrote with Dušan Pavlović and Gordan Bosanac has been published in the book Crisis Governance in Bosnia and Herzegovina, Croatia and Serbia. The Study of Floods in 2014 by Peter Lang. The entire study consists of a chapter and two appendices that complement each other, in addition to a policy brief available in english and in B/H/S. Kapidžić, D., Pavlović D. & Bosanac, G. (2018). Crisis Response in Bosnia and Herzegovina, Serbia and Croatia. In: Džihić, V. & Solska, M. (Eds. 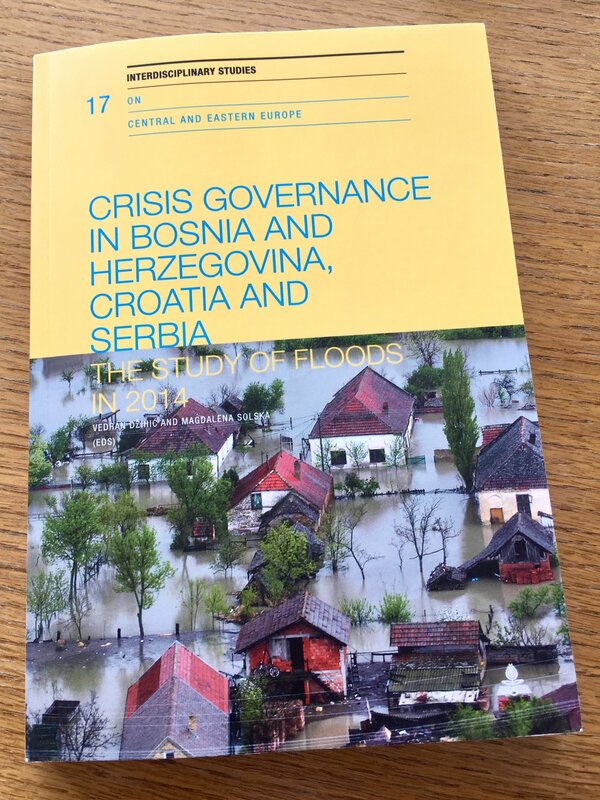 ), Crisis Governance in Bosnia and Herzegovina, Croatia and Serbia. The Study of Floods in 2014 (pp.27–57). Oxford: Peter Lang.